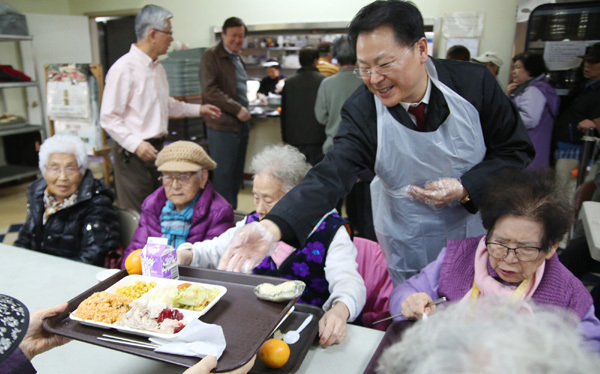 Yoo Dae-geun, president of the New York Korean American Supermarkets Association, helps hand out free Thanksgiving meals to seniors Wednesday. 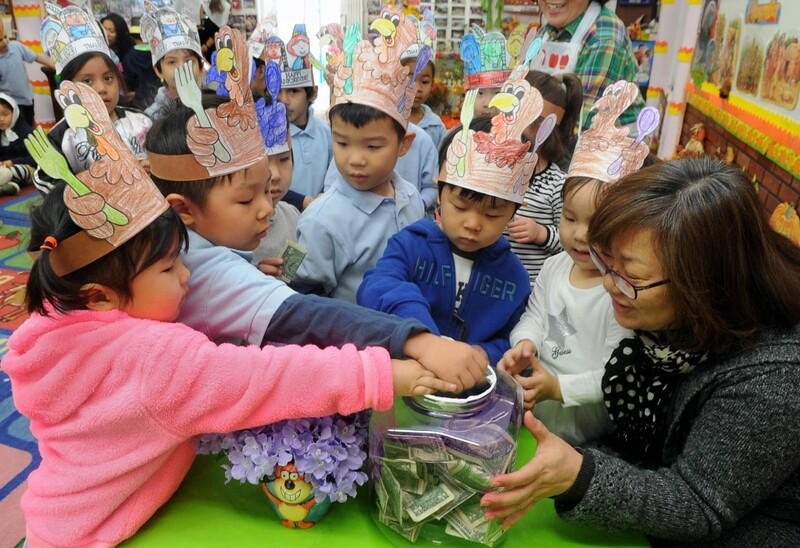 Korean American communities around the country found Thanksgiving the perfect holiday for goodwill. In New York, a grocers’ association provided free turkey meals to local Korean elderly on Wednesday. Inside senior centers in Flushing and Corona, as well as the Korean Community Services building, 1,000 meals were given to seniors. On the opposite coast, a Silicon Valley volunteer organization invited its members and locals to join in on a holiday luncheon Tuesday. About 120 locals came out to enjoy food inside Silicon Valley Korean American Community Services. 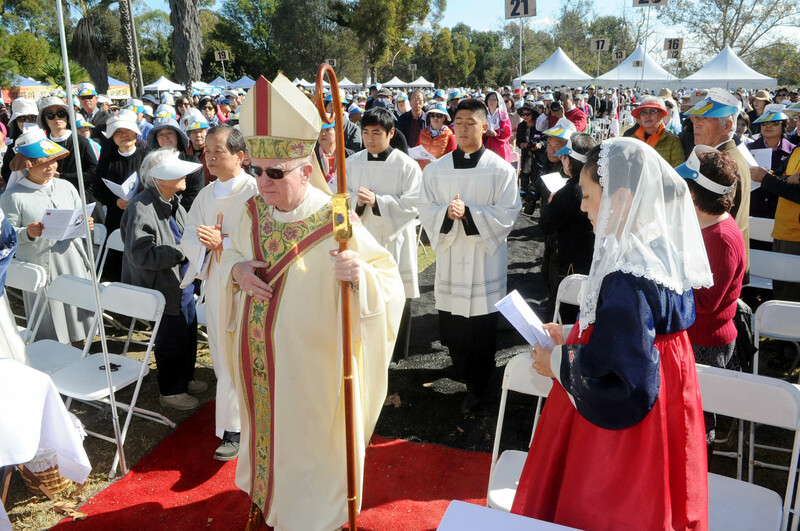 Meanwhile, the Los Angeles Korean Catholic community held a mass with 20 area churches at El Dorado Park in Long Beach. About 2,500 Catholics were led by Bishop Kevin Vann in the annual mass, which met its 34th year. Los Angeles City Councilman David Ryu, second from right, delivers a Meals on Wheels Thanksgiving meal to a local senior with volunteers Thursday. 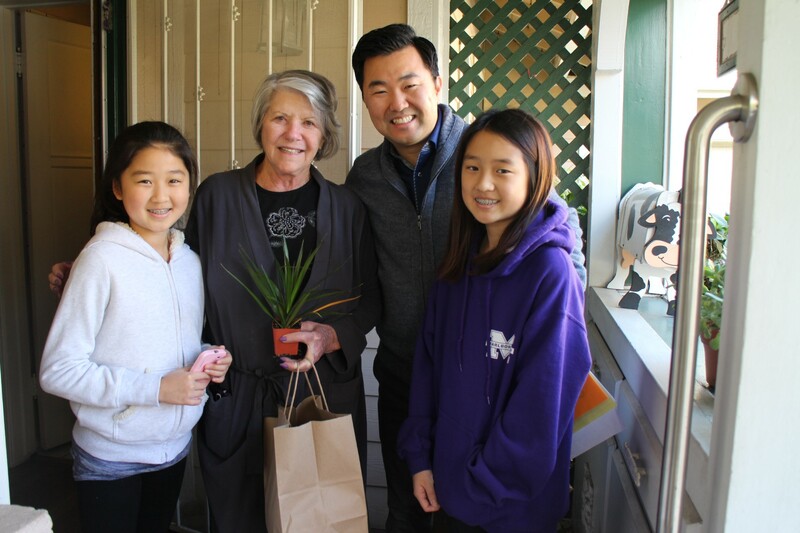 City Councilman David Ryu began Thursday by joining Meals on Wheels in delivering turkey lunchboxes to local elderly. Ryu and a group of volunteers came out to Sherman Oaks/East Valley Aduly Center at 8 a.m. to deliver 200 boxes.